Renee Ohlendorf represents businesses and professionals in complex commercial matters, including business torts, products liability, wrongful death, unfair competition, class actions, and professional malpractice. 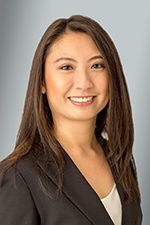 She is also experienced in litigating individual and class action claims involving violations of federal and state consumer protection and privacy laws, including the Telephone Consumer Protection Act (TCPA), Fair Debt Collection Practices Act (FDCPA), the Rosenthal Fair Debt Collection Practices Act (Rosenthal Act), the Fair Credit Reporting Act (FCRA), the Consumer Credit Reporting Agencies Act (CCRAA), and the California Invasion of Privacy Act (CIPA). Additionally, Renee has successfully defended malpractice and breach of fiduciary duty actions against attorneys, architects, engineers, medical professionals, accountants, and real estate professionals. Ms. Ohlendorf joined Hinshaw & Culbertson LLP as an associate in August 2005. While attending law school, Ms. Ohlendorf worked as a law clerk for the firm. She also served as a judicial intern to the Honorable William O. Maki, of the Circuit Court of Cook County, Chancery Division. Madden v. F.H. Paschen et al., 395 Ill.App.3d 362 (1st Dist. 2009) (affirmed summary judgment in favor of construction manager on grounds that construction manager owed no duty of care to school maintenance worker). U.S. v. Stewart, 191 Fed.Appx. 495 (7th Cir. 2006) (vacated and remanded district court decision that pro bono client’s confession was admissible, in a case of first impression involving the interpretation of the U.S. Supreme Court’s holding in Missouri v. Seibert, 542 U.S. 600 (2004), regarding police interrogation tactics). "Growing Divide over Class Action Tolling under American Pipe", American Bar Association Litigation News, February 4, 2015. "Ethical Limits on Investigating Jurors' Social Media Sites", American Bar Association Litigation News, Fall 2014, Vol. 40, No. 1. "Court Weighs Procedural Safeguards for Audio Playbacks to Jury", American Bar Association Litigation News, Summer 2014, Vol. 39, No. 4. "When Is a Defendant Too Big for General Jurisdiction? ", American Bar Association Litigation News, Spring 2014, Vol. 39, No.3. "Court Weighs Procedural Safeguards for Audio Playbacks to Jury," American Bar Association Litigation News, April 4, 2014. "Employer Violates Labor Laws by Failing to Pay Interns," American Bar Association Litigation News, October 4, 2013. "Attorney Blogger Runs Afoul of Ethics Rules on Advertising," American Bar Association Litigation News, May 30, 2013. "Ethical Limits on Rebutting Client's Disparaging Internet Comments," American Bar Association Litigation News, February 14, 2013. "Boundaries of Computer Fraud Insurance Coverage," American Bar Association Litigation News, Vol. 38, Number 2, Winter 2013. "Attorney's Settlement ‘Mistake’ Raises Ethical Questions," American Bar Association Litigation News, Vol. 38, Number 1, Fall 2012. "Intervenors Still in Limbo on Standing Requirements," American Bar Association Litigation News, March 26, 2012. "Accounting for Damages for Dummies: Expert Opinion or Not?" American Bar Association Litigation News, January 20, 2012. "California May Get New Rules of Professional Conduct," American Bar Association Litigation News, September 21, 2011. "Court Orders Production of ‘Judicial Hellhole’ Public Relations Proposal," American Bar Association Litigation News, June 28, 2011. Co-author of chapter seven, "Pleading," in the 2006 and 2009 editions of the Illinois Institute of Continuing Legal Education’s "Civil Practice (Illinois) Volume I: Opening the Case." "Beware – Before You Buy or Sell Your Own Property: Tips for Brokers, Agents, on Staying out of Trouble," co-author, Victor O. Schinnerer & Company, Inc.’s quarterly newsletter, Risk Management Reporter, Spring 2007. "Property Managers: Liability as Lessor," Hinshaw’s The Professional Line newsletter, December 2005. Co-author of "New AIA Design Build Documents: Additional Differences of Note," presented at Lorman Education Services seminar, "AIA Contracts," Hoffman Estates, Illinois, November 2005. Co-Author of "Pros and Cons of Designer-Led Building Design," presented at Lorman Education Services seminar, "AIA Contracts," Hoffman Estates, Illinois, November 2005.